Now, this is an interesting race. You have nine Democrats and one Republican who have all cross-filed (which is normal) and will appear as Democrats and Republicans on ballots. There are five seats up for election. What makes this race interesting is that it includes a faction of Democrats supported by the party (well the establishment of the party) running under the banner of “Leading Colonial Forward – The Democrats for School Board” and four fellow Democrats (two previously endorsed) and one Republican running under the banner of “Protecting Colonial’s Future.” Closer to the election we will get into what caused the rift in the party. 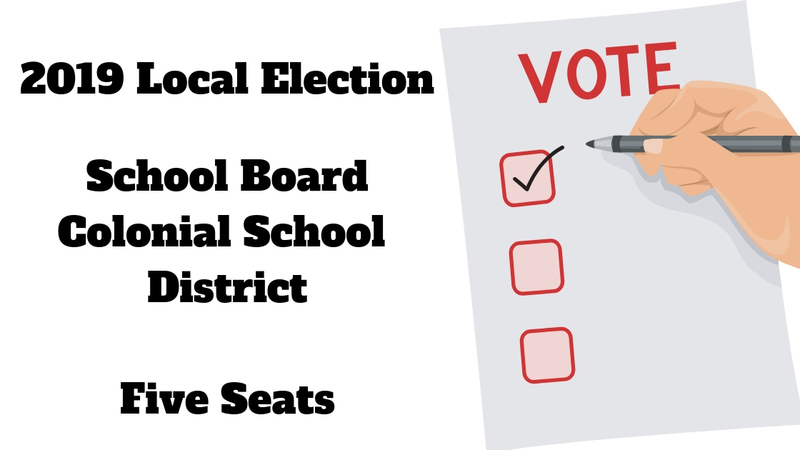 While all the current school board members ran cross-filed when they ran, the reality is that the board is made up of nine Democrats.